We all know of the famous adage that goes, “An apple a day keeps the doctor away.” Indeed, it holds true to its meaning when applied literally. Health expert agree that eating plenty of fruits and vegetables can help to control your weight or reduce the risk of many diseases such as hypertension, heart disease and even some cancers. After all, fruits and vegetables are high in vitamins, minerals and fiber. However, many people do not get enough of these foods in their diet. So, if you have decided to start eating healthy, this post will list 5 tips for eating more fruits and vegetables every day. The best way to increase your fruit and vegetable servings is to stock up on these foods. Simply visit your local farmer’s market, where you won’t be tempted to buy chips, cookies and other unhealthy processed junk food. While you may have to refrigerate some of the fresh produce bought in bulk, make sure to keep a colorful fruit basket as well. Place it on the dining table or any other visible spot, which will make it easy to grab a fruit after a busy day or before heading out. One of the reasons people opt for fast foods is that they come ready to eat right out of the package, which is not the case with greens and fruits. For people who lead hectic lives, the hustle of preparation can make eating veggies and fruits less appealing. However, you can save time by buying pre-packaged fresh produce. Some canned fruits and greens are even packed pre-peeled, pre-chopped, or as pre-made salads. Just read the label and make sure no chemicals are added. Investing in a juicer is a great way to eat more fruit from your beverage intake. The best part is that homemade juice will be fresh, packed with vitamins and devoid of chemical preservatives that may cause harmful effects on your health. 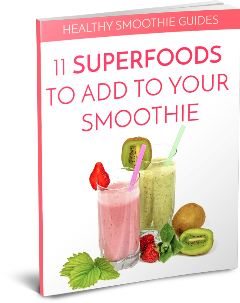 If you are looking for a way to mix fruits and veggies in one drink, smoothies are the way to go. You can get quite creative with smoothie recipes by mixing all kinds of leafy greens with sweet fruits. What’s more, mixing fruits and vegetables is a fantastic way to pack vitamins, minerals, fiber, and other important phytonutrients in one beverage. Extend your healthy food choices for mid-afternoon snacks and quick nibbles before dinner by eating fruits and vegetables. You can make healthy sandwiches with all kinds of leafy greens and veggies such as lettuce, arugula, tomatoes, basil, onions, cucumber, or quinoa sprouts, just to name a few. Baby carrots, celery sticks, along with dried fruits like figs, peaches, dates, prunes, apricots or raisins also make healthy snacks. Also, take advantage of whole fruits like grapes, apples, bananas, mangoes, and oranges, when they are in season. Making greens and fruits more appealing is another clever way to increase intake of these vital foods. Experiment with different salads when serving main meals. Alternatively, add grated or shredded carrots, zucchini, lasagna, and spinach to meat loafs, rice dishes, mashed potatoes and pasta. You can also add sweet fruit sauce from pureed apples, peaches, berries or pears on grilled or fried foods. Your health is the most important asset to invest in above anything else. And, the tips shared above will promote a healthier lifestyle if implemented diligently. Aim for the recommended 4-5 servings of fruits and vegetables per day. Lastly, vary your choices to keep your diet interesting and appetizing.